Hire the Smartest Freakin’ People on the Planet. With all the the hubub surrounding the selection of the next Microsoft CEO, it would be good that the selectee learn and incorporate one key characteristic I have always admired in Bill Gates. Whether the next CEO is Ford Exec Alan Mulally, current M/S Exec VP Satya Nadela or former Nokia chief Stephen Elop, they would be wise to hire SMART people. You would think that they would naturally take that action and that my advice should “go without saying” but I have seen many a new CEO emerge where they bring in their “old gang” whether or not the individuals they are bringing in are actually qualified to carry out a given function. In 1992, I found myself in Bill Gates’ office in Redmond, Washington, along with Ray Noorda, my boss and CEO of Novell at the time. We had been engaged in a long series of discussions about Microsoft buying Novell. Ray and I were of the mindset that the deal couldn’t get done due to government regulatory hurdles. Bill was trying to convince us that those could be overcome. The deal never got consummated and subsequently there were years of antitrust litigation against MicroSoft to which Novell and I were closely tied. Bill Gates was not one of my favorite people in the world and I am sure I was at the very top of the list of those Gates disliked. 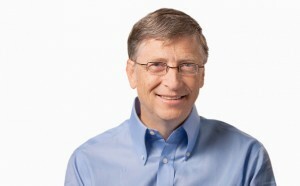 But over the years, I have gained great respect, even admiration, for the man who, post Microsoft, built one of the largest charitable organization in the world’s history. My biggest learning from Bill Gates, and one I have tried to emulate in my own CEO roles, is to hire the smartest people you can. I would add that they need to be passionate and skilled as well but smarts is something that is very hard to teach. Gates once said: “The key for us, number one, has always been hiring very smart people.” I have interacted with many Microsofties over the years including my good friends, Mike Murray, who ran Microsoft’s HR group for years under Gates, Bill Neukom, their General Legal Counsel and a man that went on to run the San Francisco Giants and helped lead them to a world championship, and Brad Anderson who currently runs Microsoft’s Windows Server and Systems Group. To a person, they all have superior IQ’s. It has been said that you are the average of the five people with whom you surround yourself. But be careful, if you find yourself the smartest one in your group, it is time to find another group. Another note of caution is this. In my career, I have found two different types of hiring managers. The first group is the Winning group and comprises those who willingly and proactively hiring people that are smarter than themselves. The second group are frankly, the losers. This group is comprised by those who worry about hiring someone who has a skill set or IQ that is better than theirs. Unfortunately, I think corporate America finds a majority of hiring managers in the latter, losing category. Lee Iacocca once brilliantly said: “I hire people brighter than me and I get out of their way.” To hiring managers, here is my advice: Hire brilliant people with skill sets and intelligence you may lack. It is a sure fire way to ensure that you get promoted down the road! 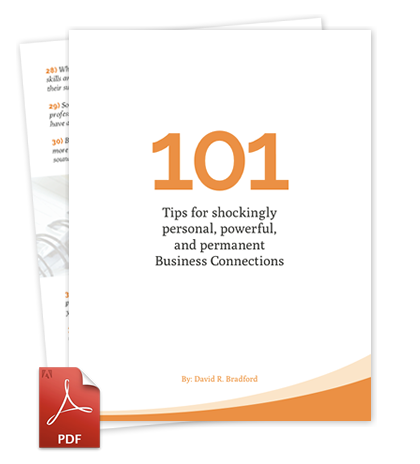 Great Post……sounds like a good chapter for your new book. As a joke, I thought “what if there wasn’t anyone as SMART as me”. Which led to thinking about having people around you who bring different variety of skill sets whether or not they are more SMART than you. Some people are energetic and bring enthusiasm and action to the table. Some people have a more measured and thoughtful approach.